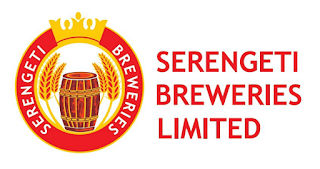 Serengeti Breweries Ltd (SBL) operates exclusively in Tanzania and is the 2nd largest beer company with a market share of 25%. SBL is a subsidiary of East Africa Breweries Ltd (EABL) – which is in turn partly owned by one of the world’s biggest alcoholic beverage companies, Diageo. The company is an integrated demand/supply business with 3 operational breweries in Dar Es Salaam, Mwanza, and a third one in Moshi, which is situated in the northern part of the country near the Kenyan border. SBL’s flagship brand is Premium Serengeti lager, which accounts for 50% of SBL sales volumes. The other beer brands are Tusker, Guinness, Tusker Malt, Kick and Pilsner. SBL has 3 fully operational breweries in Dar es Salaam, Mwanza and Moshi with a combined capacity of 1.3m Hls..
To apply technical, process, continuous improvement and individual /team development skills to optimise overall brewery improvement and plant performance. Deliver best possible plant operation by maximizing plant availability and efficiency of operation through execution of Planned Preventative Maintenance schedules. Monitor and log accurately, all the necessary parameters of the various equipment viz. Temperature, pressure, current, voltage etc. Demonstrate flexibility in terms of availability, attitude and work practices, and assist colleagues in breakdowns, maintenance and solving problems on their equipment. Support Utilities Engineer to achieve production plans and key performance targets, and deliver agreed Customer Service levels. Actively pursue training and development on an individual and team basis and participate in competency based training programs and develop positive relationships with colleagues, including contractors. Compile and commentate whatever reports are required – either original reports or those generated automatically. This includes status sheets, check sheets, condition monitoring sheets, etc. a brewery or drinks or food manufacturing environment. Demonstrate detailed understanding of Permit to Work system and GGBL SHE policies, statutory requirements and responsibilities.